For the fifth year in a row, I'm publishing my humble observations on average salary changes in the European Union. In this article, I've compared both gross and net average salary for 2018. As in the case with minimum wages in European Union 2018 article, for this year's average salary article, I was able to pull data both for gross and net minimum wage values across the European Union. I wouldn't call bellow written a scientific research, as most of the data in this article are taken from Wikipedia's article List of European countries by average wage. To make it more interesting I've added a column for tax - by having both values (gross and net) I did a simple calculation to see approximate tax rates in member states. All calculations are done using Google Spreadsheets. Data provided below might not be 100% accurate but they should give an overall insight on average salary levels across European Union member countries. This is a list of countries containing monthly (annual divided by 12 months) gross (before taxes) and net income (after taxes) average wages in Europe in EUR currency.The table above reflects the average (mean) wage as reported by various data providers. In less developed markets, actual incomes may exceed those listed in the table due to the existence of grey economies. 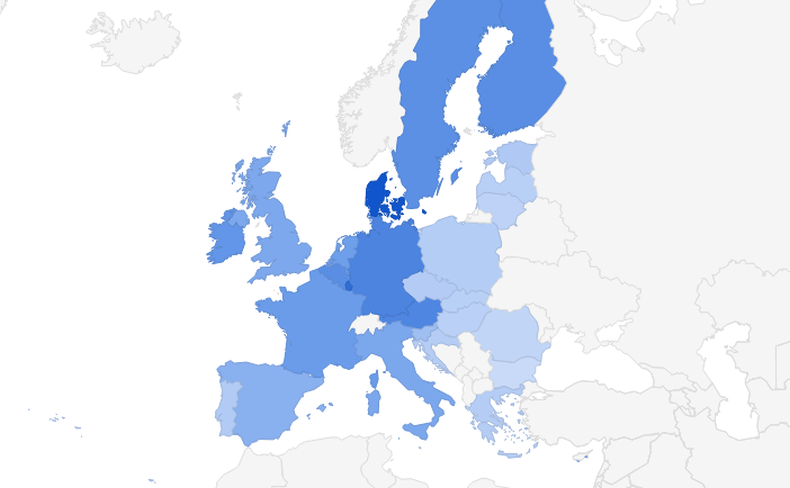 The gap (in terms of net salary) between richest (Denmark) and poorest (Bulgaria) is 7.15. Which actually is shrinking, as in 2017 the gap between Denmark and Bulgaria was more than 7.6 times. How does your country stands in this table? Readers and me would love to hear! Drop a comment!